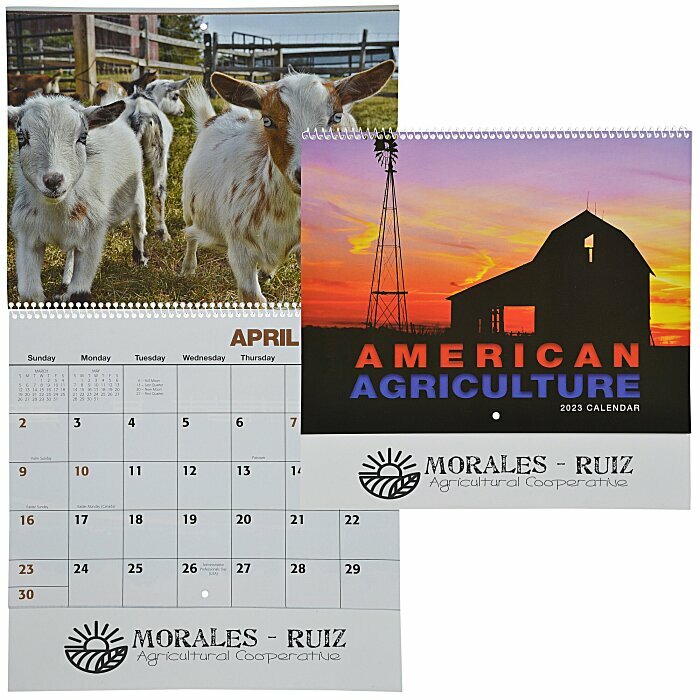 Spiral-bound calendar features brilliant full-color photography of farms throughout America's heartland. Last page includes compact yearly calendars, plus space for important phone numbers and birthdays. For staple-bound calendar, see item #8306-STAmerican Agriculture Calendar - Stapled.